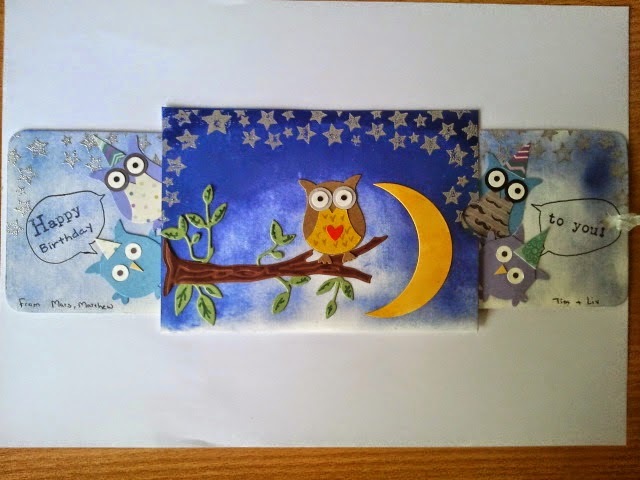 Today I want to show you a few cards that are a little different than a normal A5 folded in half card. 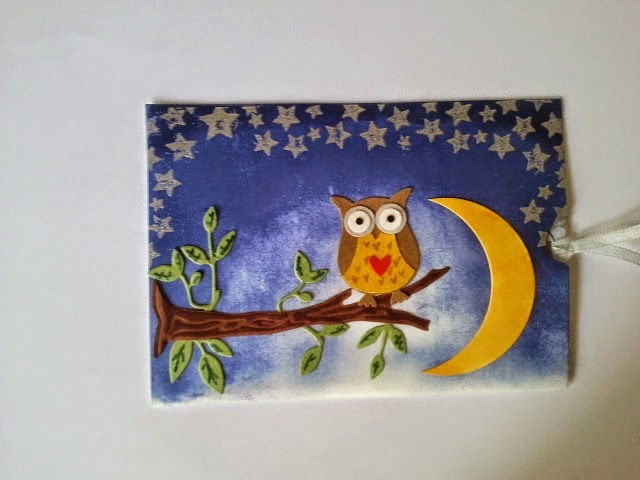 I love the owl builder punch from Stampin' Up and used it to make this wonderful card. The second card is a trifold shutter card. 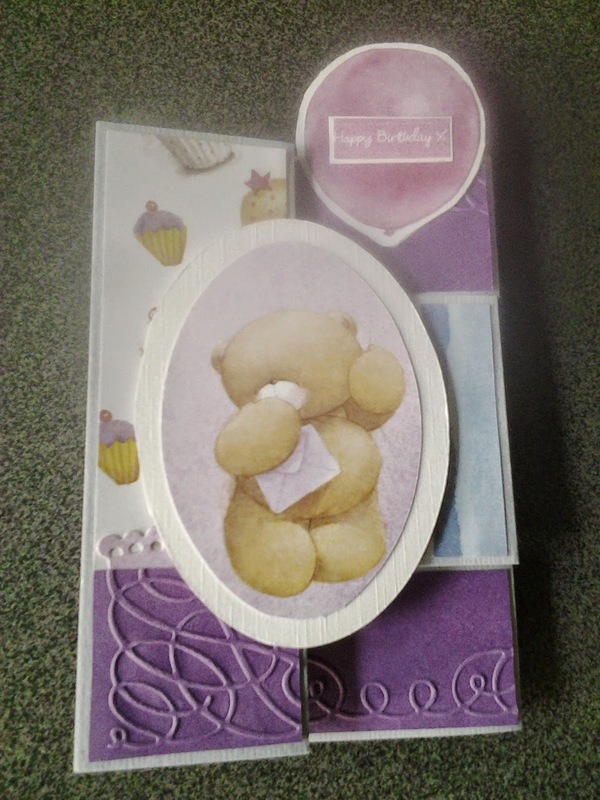 I think this is such a cute and different card, which isn't very difficult to make yet impresses easily. Here's the folded card and the way it looks when it's unfolded. 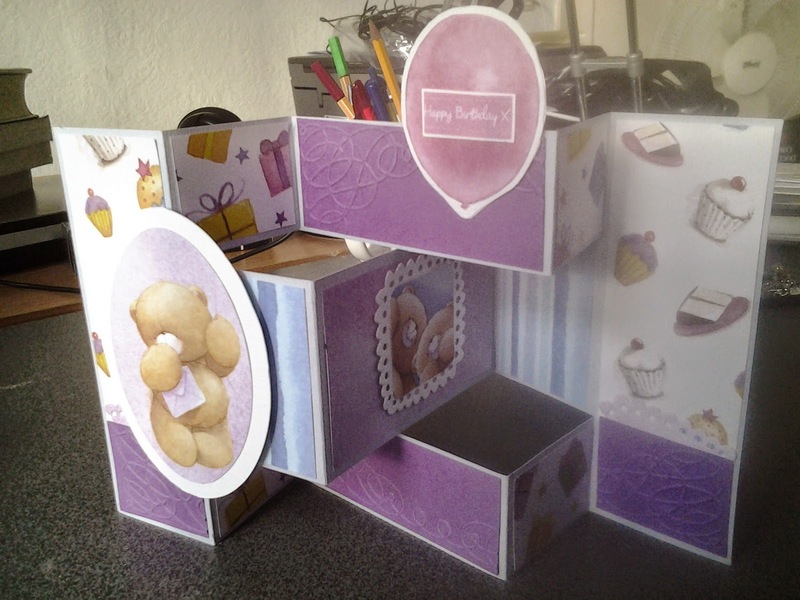 And here's another trifold shutter card with a different theme. The next "different" card is a step up card. Now these come in all kinds of stages but this is a simple one step up card. Basically, one part of the card comes up a bit higher than the other parts. I think it looks really nice on the mantelpiece. 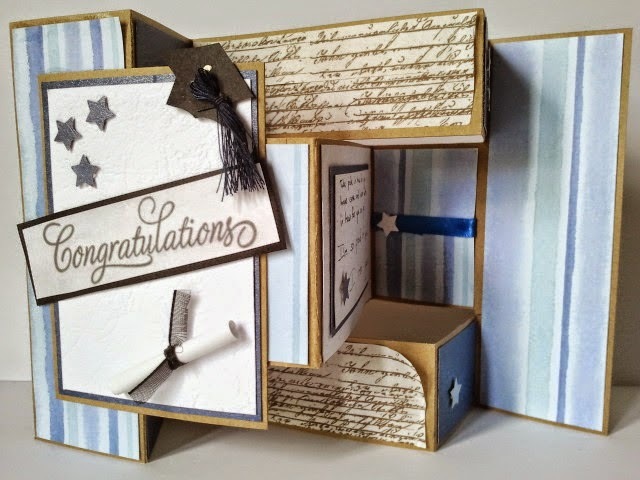 If you want to know which products I used or how I made the cards, let me know and I can either make another post on how I made them (measurements and everything) or I will add a list of details to this post. Hope you enjoyed and check ya later!